Foothill Conservancy invites everyone to join them for the 2016 Mokelumne River cleanup on Saturday, September 17, from 8:30 am until noon. Whether you have volunteered for the Mokelumne River cleanup before, or are coming for the first time, your efforts will help improve the water quality of this local treasure. Participants will get first-hand experience in identifying harmful impacts to the river, and learn about the importance of the Mokelumne's watershed for recreation and fish and wildlife habitats – all while having fun! “The Mokelumne River cleanup volunteers remove trash and recyclables from the river. Every year they share the satisfaction of making our river pleasurable and safe for all, from the wildlife that live there to the people who enjoy the river for fishing, swimming, picnicking and paddling.” said Carolyn Schooley, cleanup coordinator. There are two sites for this year’s cleanup: Electra Bar, close to Electra Road, and the Highway 26 North Fork Mokelumne crossing. Participants will pick up trash along the river’s banks and on adjacent beaches. A special prize will be awarded for the “weirdest” trash, and all volunteers will receive thank-yous for their morning’s efforts. Volunteers should wear sturdy boots and long pants, and bring work gloves, a hat, sunscreen, insect repellent and a water bottle. Coffee, water and snacks will be provided. Foothill Conservancy of Jackson is the leading conservation group involved in the protection and restoration of the upper Mokelumne River. The organization is actively pursuing river conservation, wise water planning and watershed restoration efforts in our area. School is back in session this month but it's still hot out there! Many families will continue to seek out lakes and rivers to beat the heat. And that means a continued effort to keep our kids safe around water! 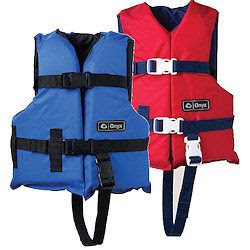 We wanted to share a great resource for local families, California Tribal TANF in Jackson has just received life vests (or personal flotation devices - PFDs) sized just for kids - and FREE to families! 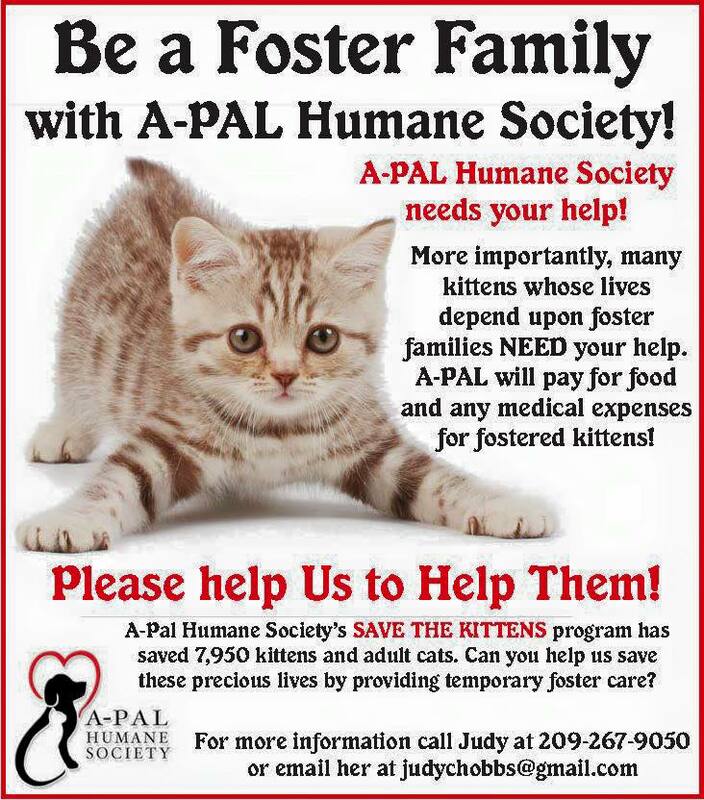 Give them a call and they will help children get fitted for just the right one - (209) 257-6150. Remember, a child can drown in the time it takes an adult to answer the phone, or throw a load of laundry in the washer. Make sure your focus is on water safety and drowning prevention. Please keep your eyes on the kids, and avoid any distractions that could take focus away from children when they are swimming or playing near water. Getting involved with children in your community can be proactive, not reactive. Don't stand silent. Be the solution. It's our job as adults to keep kids safe. We want to thank Hand in Hand Parenting for this great article by Julie Johnson! Parenting can trigger every fuse you have--even ones you didn't know you had. The problem is,when we unleash that fury on our children, it deeply frightens them. Children are sensitive: they are born with emotional brains already developed and primed to pick up on our tension and anger, even in infancy. But, although our children notice when we yell, scream, or grab too tight, they are not at fault. As psychologist Laura Markham notes, "...no one ever really 'triggers' you. They're your triggers, from your own childhood, from other traumas, or from your current stress. Your child has simply unearthed them and is giving you the opportunity to heal them." 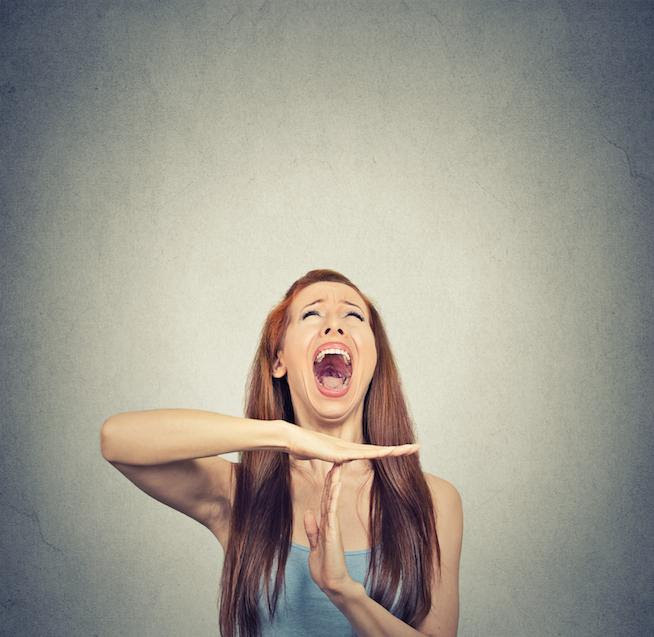 You can make a commitment to tame your own tantrums. Here are some things you can do when you're in the grip of anger and need a time out. STOP. what you are doing. Don't talk, don't yell-just stop. Focus on your breathing if you can. This is not easy! But it's one of the first things you need to do when you're in the throes of a tantrum. Like other stress reducing routines, this one takes practice. But when you bring some consciousness to your anger, over time, you'll find the grip begin to loosen. STEP AWAY. Tell your child you need to take a break and step away from the situation for a moment: "Mommy is upset. I need to cool down." That might mean going to the bathroom to have a short cry, finding a pillow to scream in, or stepping outside for a moment to change scenes if there is a calm adult nearby who can stay with your child. LIE DOWN ON THE FLOOR. Yes, on the floor! Patty Wipfler, founder of Hand in Hand Parenting, suggests that you stop what you're doing and lie down on the floor. It's a powerful way to take a break from a situation that's got you steamed. Sometimes when you're locked in a power struggle with your little one, or about to blow your top, lying down can help reset your emotions and break the power imbalance between you and your child. Your little ones may come around and be curious or climb on top of you. Lying down allows for a fresh start, helping you stop whatever you were doing that wasn't working. DO SOMETHING DIFFERENT. Sip a glass of water slowly, put some music on and dance with your children, step outside for some fresh air, change the scene. This will temporarily abate the frustration that arises, while you work on a long-range plan to tame your tantrums. GET HELP WITH THE HARD TIMES. Notice the times that are particularly hard or stressful with your children and find someone who can pitch in. A mom in one of my classes had to take her daughter to school each morning after her second child was born. The baby would scream the entire 20 minutes in the car, each way. Everyone arrived to school frazzled and out of sorts. After a couple of weeks of this the mom was at the end of her rope. She asked a friend to take her daughter twice a week, and the other days, her husband managed to drop her daughter off earlier on his way to work so mom could stay home with the baby. HAVE A REGULAR PLAN FOR SELF CARE. As parents, some days it seems impossible to care for ourselves, but it's important to find something we can do each week to lift the stress of constant care giving. Whether it's exercising, a regular walk or coffee date with a friend, or a monthly mom or dad's get-together, make self-care a priority as often as possible. Even small daily habits of self-care, like taking a short nap or sitting down to just breathe for five minutes, can make a big difference. CREATE A PRACTICE OF RELAXATION OR EXERCISE. Nowadays it's hard to dispute: a regular practice of meditation, breathing, or exercise (even just ten minutes a day) is a powerful way to shift your mindset and bring a deeper level of relaxation and well-being to your life, so that you can be more pleased with yourself and your children and less reactive. FIND SOMEONE TO TALK TO. Getting support by sharing the challenges and joys of parenting with another parent is an important tool in the Parenting by Connection practice. Find someone that you can call each week, and split the time evenly, whether it's 30 minutes or an hour. Whoever is on listening duty at a given time should listen without giving advice or suggestions, and create a space where the other parent can feel safe sharing her darkest moments and thinking through how to move forward. The moments when we lose it with our children can be an opportunity to heal the wounds that can keep us from connecting with them. And when we attend to our wounds, sometimes, miraculously, our child's behavior shifts as well. Laura Markham explains: "The paradox is that the child seems to be creating the problem, but when we work on our part of it, the problem always diminishes. Is that because once we come to peace with the issue, we can set firm but kind limits and help our child with his emotions, instead of adding fuel to the fire? Regardless, once we melt the tangle in ourselves, our child so often makes a breakthrough too. We both heal and grow." So write down the ways in which your child triggers you and where the roots of that distress might lie. With a good listener, explore the anger, frustration, embarrassment or hopelessness that emerges when your child acts in a way that troubles you. And make time to notice the feelings that arise. As we express and work through those feelings, we not only change ourselves; we change our children in the process, too. We hope you find this article helpful. And although the focus is on little children, we feel that many of the above tips work with teens too! The second Thursday of every month, from 10:00am - 12:00pm, the Child Abuse Prevention Council is holding free mandated reporter trainings. If you or your staff or colleagues need a refresher course, or if you have new staff with no previous training, give us a call, (209) 223-5921. This year’s BIG RED BARN, sponsored by Rancho Arroyo Seco, will support all Amador County school music programs. Proceeds will benefit all schools from 5th grade through high school. This is the 10th annual event, and is planned for Saturday, September 24th at 6:00 PM, at the BIG RED BARN in Ione. The goal is to raise $25K or more. Rancho Arroyo Seco will once again match up to $7,500. There are over 300 students currently participating in the county music program that are directed by two instructors, Heather Walkover and John Burns. Like many districts, music and art program funding has been drastically reduced. 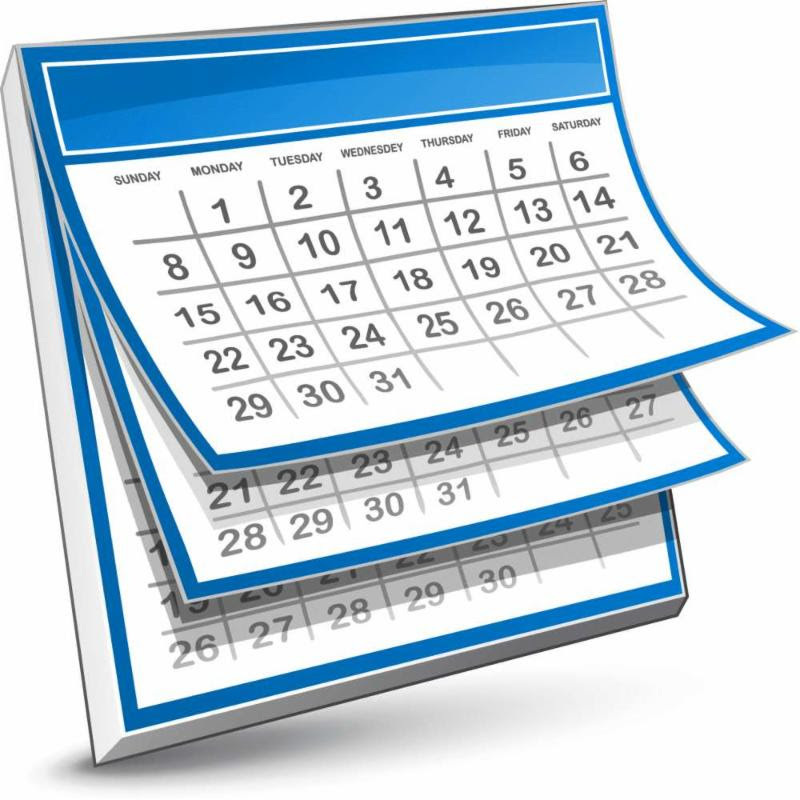 Most band related expenses are self-funded, including instruments—both repairs and purchases—uniforms, transportation to, and participation in competitive events. Musical training helps develop language and reasoning, a mastery of memorization, increased coordination, and helps students stay engaged in school and gain better self-confidence. So—mark your calendars and save the date. There will be a special musical presentation by the combined Argonaut and Amador bands during the event, live and silent auction, and raffle. Dinner will include a marinated beef tri-tip, sides, salads and bread, prepared by Pat and Lisa Thomas of Amador Catering. Tickets can be purchased at $25 each online at amadormusic.eventbrite.com. 68-0447992. 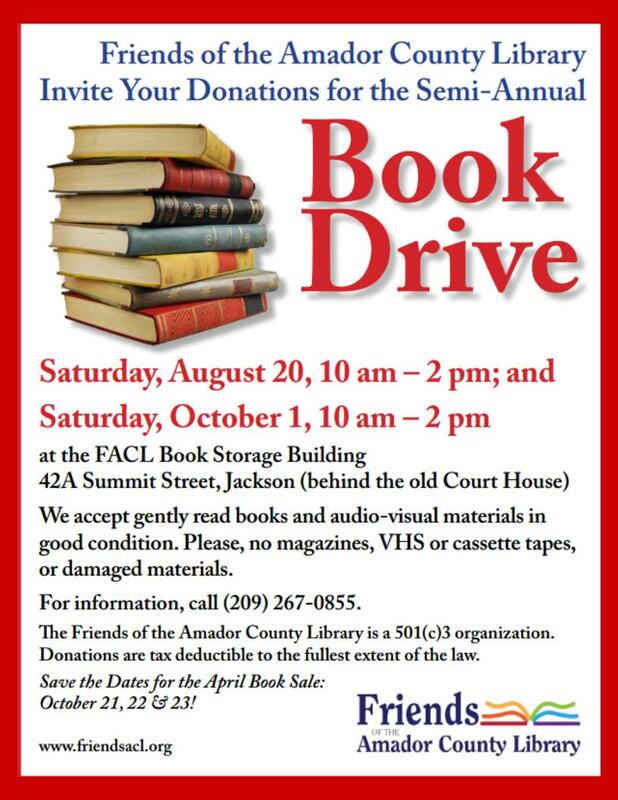 For more information, call 209-304-5118 or 209-274-2777. 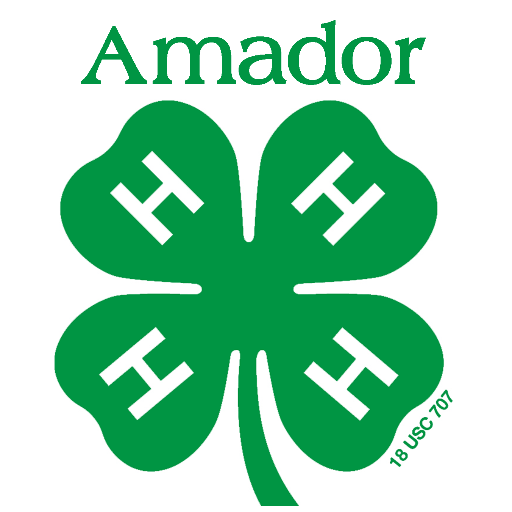 Amador County 4-H Open Enrollment Going on Now! Jackson, California (August 4, 2016)— More than 6 million young people across the country are enjoying 4-H today! 4-H offers young people many new opportunities allowing them to make an impact on the community, and step up to the challenges of a complex and changing world. 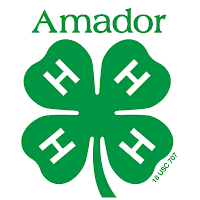 Amador County 4-H is a volunteer youth development program open to all youth between the ages of 5 to 18 years old sponsored by the University of California and the County of Amador. Six clubs: Fiddletown, Gold Nuggets in Plymouth, Ione Community, Jackson Gold Wheels, Shenandoah Valley, and Willow Springs in Plymouth make up Amador County 4-H. Each of these clubs offers several club projects like gardening, cooking, photography, viticulture, citizenship and various animal projects for its members to work in. · Two times more likely to engage in Science, Technology, Engineering and Math (STEM) programs in the out-of-school time. 4-H, the nation’s largest youth development and empowerment organization, cultivates confident kids who tackle the issues that matter most in their communities right now. In the United States, 4-H programs empower six million young people through the 109 land-grant universities and Cooperative Extension in more than 3,000 local offices serving every county and parish in the country. Outside the United States, independent, country-led 4-H organizations empower one million young people in more than 50 countries. 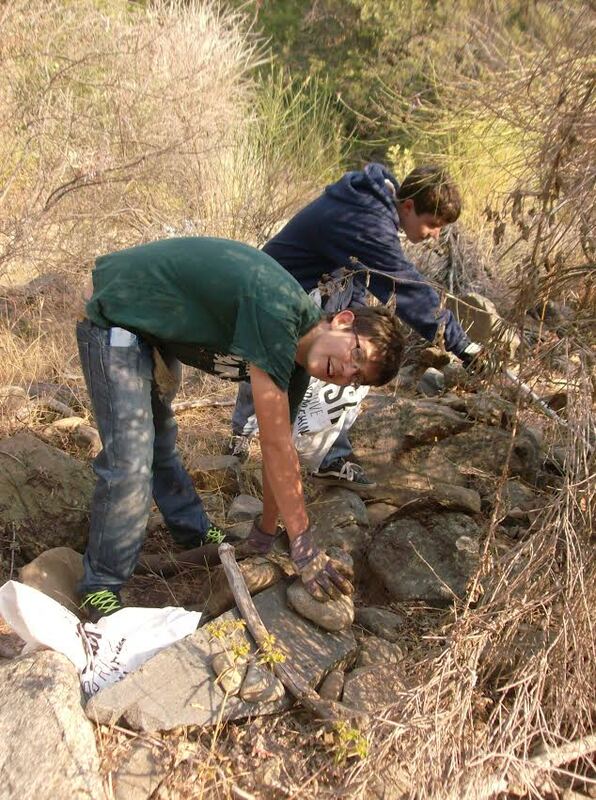 In Amador County, more than 180 4-H youth and 40 volunteers from the community are involved in 4‑H.